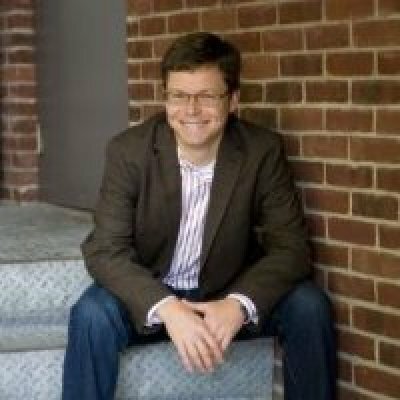 Nigel Wallis is IDC Canada's Research Vice President for Internet of Things and Industry research. 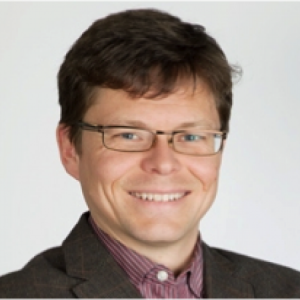 Based in Ottawa, Nigel directs the Internet of Things (IoT) research program. Nigel also leads our research into how different industries are adopting technology across Canada via the Canadian Vertical Markets program. He delivers research covering these markets with a particular focus on demand-side preferences, technology deployment plans, business priorities and Canadian-specific forecasting. 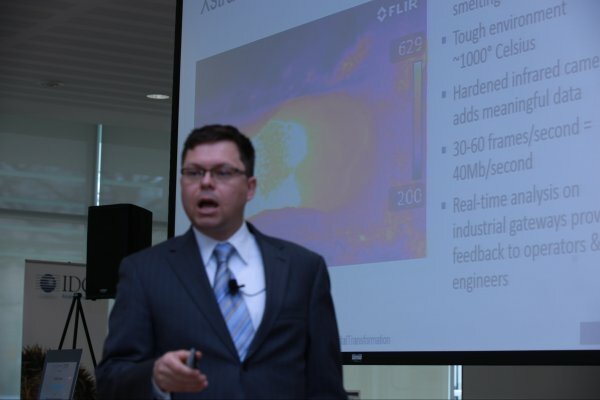 Nigel speaks frequently at industry events and vendor events in Canada on the topic of IoT. 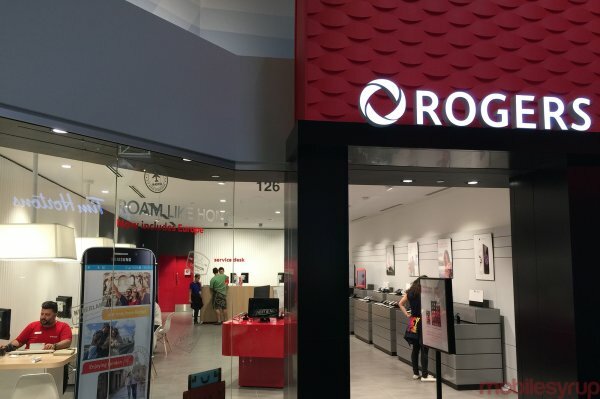 Rogers Canada, leading Canadian telecommunications company, has announced that they will begin rolling out an “LTE-M” network in 2018, to be concluded by 2020. TORONTO, October 18, 2018 – Today, Rogers announced its plan to launch an LTE Cat M1 network (LTE-M) to help businesses connect and track their assets in real time – using solutions such as logistics tracking, alarm monitoring, and smart metering. Waterloo, Ont.-based BlackBerry is working with Amazon on a BlackBerry Alexa device that will be secured for use in the enterprise, according to company executives. 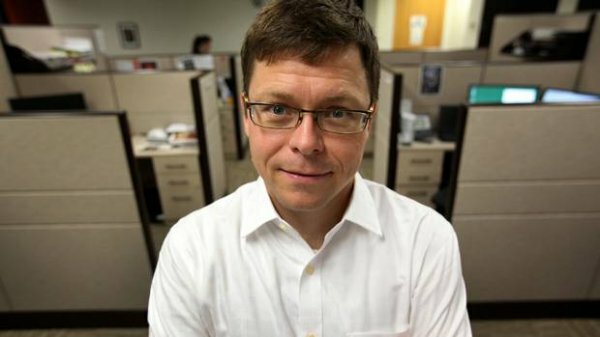 The migration of Alexa into the office is just the latest example of consumer devices making the leap to work life, says Nigel Wallis, research vice-president for Internet of Things at IDC Canada. IDC Canada research shows Canadian enterprises are already using voice interfaces – 17 per cent of medium and large organizations were doing so, and another 15.7 per cent indicated they were currently implementing the technology, based on IDC Canada’s IT Advisory Panel survey. Smart City initiatives in Canada will attract technology investments of more than C$1.4 billion in 2018, and spending is set to grow to C$2.8 billion in 2022, according to the new release of the International Data Corporation (IDC) Worldwide Semiannual Smart Cities Spending Guide. The Spending Guide provides a detailed look at the technology investments associated with a range of Smart Cities priorities, programs, and use cases. “The three largest use cases, which will attract over one fifth of total Canadian Smart Cities spending in 2018, are fixed visual surveillance, smart outdoor lighting, and advanced public transit. By 2022, however, intelligent traffic management will overcome fixed visual surveillance and jump up to first position. 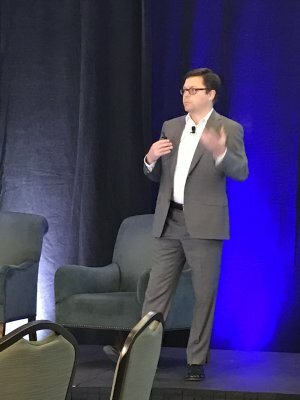 Vehicle to everything (V2X) connectivity and Next-Gen Emergency PSAPs will generate the fastest growth at 90.0% and 66.3% CAGR respectively although they currently start from a small base,” says Nigel Wallis, IoT & Industries Research Vice President at IDC Canada. Phoenix is a classic example of a government wanting to save money on an expensive new technology project by cutting the number of employees working on it, only to discover later that those people were essential to seeing it through, said Nigel Wallis, a vice president with research firm IDC Canada. This announcement comes just months after the Government of Canada announced the Smart Cities Challenge, which provided $300 million over 11 years toward a Smart Cities Challenge Fund. The initiative looks to encourage cities to improve citizens’ lives through connected technology. There's going to be a new dividing line among car owners within the next few years between those who can afford to buy sure-to-be-expensive, mostly-autonomous vehicles and those who continue to drive less costly manual options. Nima Ashtari wants to help that second group enjoy the benefits of self-driving cars, too. 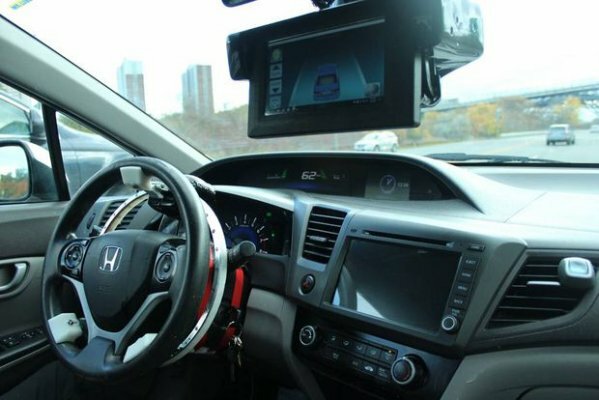 X-Matik Inc., his Toronto-based company, this month is launching a test version of its first commercial product – LaneCruise, an add-on kit that promises to turn virtually any existing car into a partly autonomous vehicle for less than $3,000. Set aside specific numbers and predictions and the consensus is there is explosive growth in connected devices, sensors and data thanks to the Internet of Things, and they will certainly be a factor in corporate competitiveness over the next five years. The window for Canadian businesses to gain a competitive edge by adopting the Internet of Things (IoT) is closing quickly. Competitors around the world are jumping on the opportunity to use low-cost sensors to obtain real-time data to support decision-making, according to research by IDC Canada. “There has never been an easier time to use the Internet of Things to transform,” Nigel Wallis, IDC Canada vice-president of vertical markets and IoT, told participants in an IT World Canada webinar. Canadian businesses have begun adopting IoT functionalities at rapidly increasing rates. The IDC report states that 45 percent of mid to large Canadian enterprises have already adopted at least one IoT solution, while 55 percent intend to invest in IoT this year. Nigel Wallis, the research director at IDC Canada, doesn’t see this adoption slowing down anytime soon. “The world of connected devices only gets more exciting and complex as industries continue to explore connectivity in consumer, enterprise, and industrial settings,” he stated in a comment. “Today just over 45% of Canadian organizations are deploying Internet of Things solutions and we predict the IoT market in Canada to reach a value of $13.5 billion by 2019,” says Nigel Wallis, research director at IDC Canada. Canadian businesses are poised for wider Internet of Things (IoT) adoption — but must first reshape parts of their operations to reap the full benefits, according to one industry analyst. 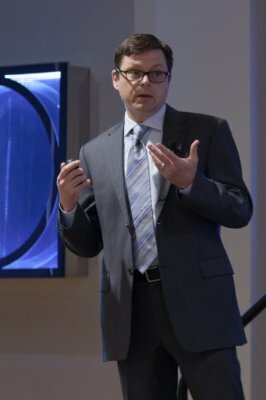 Speaking at the IDC Directions and Canadian CIO Symposium on Thursday, Nigel Wallis, director of IoT and vertical markets at IDC Canada, outlined how the power of the “3rd Platform” — which refers to advancements in mobile computing, social media, cloud computing, big data and IoT — can help drive IT innovation. Canadian businesses are poised for wider Internet of Things adoption but must reshape parts of their operations to reap the full benefits, according to IDC Canada. 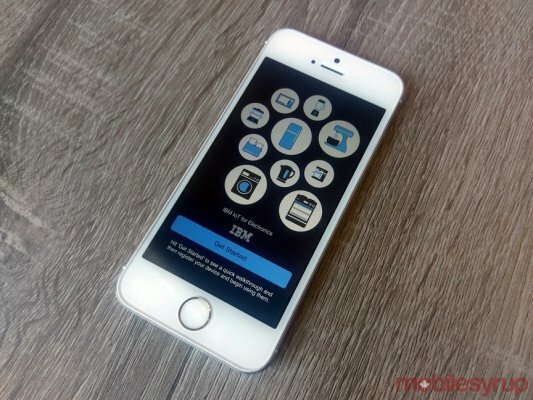 About 45 per cent of all SMEs in Canada have already deployed some form of non-consumer IoT device, IDC’s Nigel Wallis said Thursday during a presentation in Toronto. 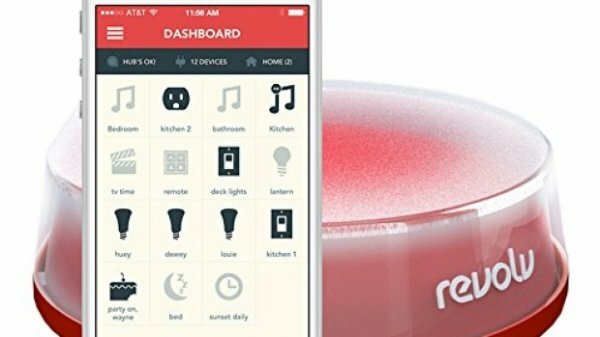 Nigel Wallis, an analyst with IDC Canada who specializes in the internet of things, said it would be a shame if the incident makes people shy away from buying connected devices from startups, which he says are producing the most innovative and creative new gadgets right now. 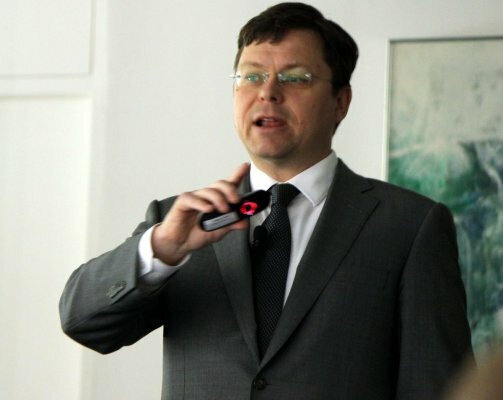 But he acknowledged that incidents like this may make early adopters less enthusiastic about connected devices. "They've offended the very people they need to be evangelists for the internet of things," he said. That could also make new customers shy away, especially when it comes to devices such as fridges or cars that are expected to have lifespans for more than a decade, he says. “Today just over 45% of Canadian organizations are deploying Internet of Things solutions and we predict the IoT market in Canada to reach a value of $13.5 billion by 2019,” said Nigel Wallis, Research Director at IDC Canada. Mr. Wallis says Canada is among the world leaders in tele-health, which connects remote communities with medical experts at big-city hospitals like Toronto’s Hospital for Sick Children or Mount Sinai. 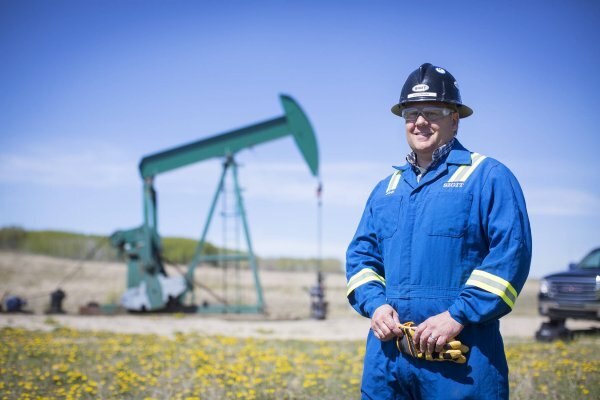 GEOTrac and other fleet services have captured about a third of the oil and gas market in Canada. But there are more examples where we lag behind: When it comes to factory automation, Germany, Japan and some parts of the United States are in the lead, and Western Europe is further advanced with intelligent monitoring of emergency response workers. A recent IDC survey highlighted one of the key issues with IoT: acceptance. 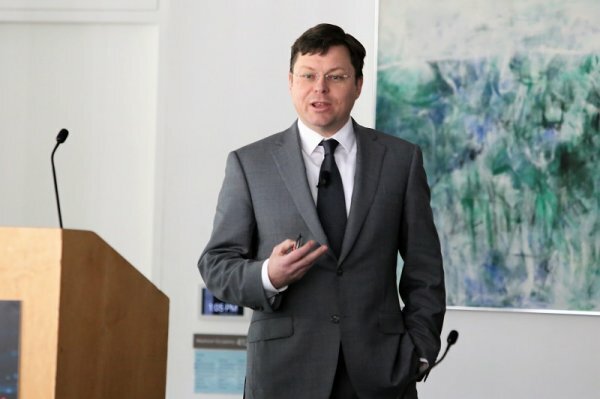 Mr. Wallis says about 15 per cent of Canadian executives surveyed understand the case for IoT, and another 20 per cent think it has the potential to transform their entire enterprise. 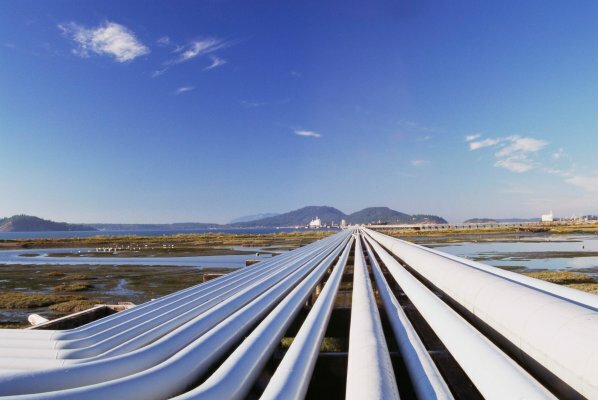 However, 42 per cent remain on the fence, largely because they have no way to calculate return on investment; the solutions are too new or at least new to their industry. This IDC Survey compares IDC's latest primary research on the challenges facing IoT deployments in Canada and around the world. In the fourth quarter of 2018, IDC surveyed 4,873 respondents across 26 countries worldwide asking enterprise IT and business decision makers about their IoT deployments. 194 of the respondents were from medium-sized, large, and very large Canadian organizations. The survey content examines the failure rate of IoT deployments, the challenges to IoT deployments, and the specific issues that pilots and proofs of concepts face nationally and by industry. IoT purchasers and vendors should find this survey useful for planning implementations and evolving their deployment plans. This IDC Survey examines IDC's latest primary research on Internet of Things (IoT) platform deployments and considerations, both in Canada and around the world. In the fourth quarter of 2018, IDC surveyed 4,873 respondents across 26 countries worldwide asking enterprise IT and business decision makers about their IoT deployments. 194 of the respondents were from medium-sized, large, and very large Canadian organizations. The survey content examines current and future IoT platform adoption, feature consideration, and current IoT platform vendors. It offers a view of Canadian respondents versus their global peers as well as segmentation by company size and industry. IoT platform vendors and partners should find it useful for go-to-market planning, communications campaigns, and partnering/alliances activities. This IDC Survey compares IDC's latest primary research on the issue of IoT-related security in Canada and around the world. In the fourth quarter of 2018, IDC surveyed 4,873 respondents across 26 countries worldwide asking enterprise IT and business decision makers about their IoT deployments. 194 of the respondents were from medium-sized, large, and very large Canadian organizations. The survey content examines the challenges facing IoT adopters, which aspects of IoT deployments are most vulnerable, and the relative self-reported IoT security maturity nationally and by industry. IoT vendors should find the survey useful for positioning security and privacy in their go-to-market plans. This IDC Survey compares IDC's latest primary research on the issue of IoT-related leadership and selection criteria in Canada and around the world. In the fourth quarter of 2018, IDC surveyed 4,873 respondents across 26 countries worldwide asking enterprise IT and business decision makers about their IoT deployments. 194 of the respondents were from medium-sized, large, and very large Canadian organizations. This IDC Survey examines the following perceptions from IoT adopters, comparing Canada against global respondents, by industry and by organization size. This IDC Survey Spotlight discusses the adoption of operational and clinical IoT solutions by Canadian healthcare organizations. This Survey Spotlight is based on IDC's Global IoT Decision Maker Survey, which was completed in October 2018. The 4,873 survey respondents represented 26 countries across the globe from enterprises with at least 100 employees. Qualified respondents had to be director level or above and had to have direct involvement in IT and/or business decisions at their company. Respondents hailed from seven industry verticals, including financial services, government, health, life science, manufacturing, retail/wholesale, and utilities/energy. This IDC Survey Spotlight discusses where the budget comes from for Internet of Things (IoT) adopters in Canada, by industry and around the world. This Survey Spotlight is based on IDC's Global IoT Decision Maker Survey, which was completed in October 2018. The 4,873 survey respondents represented 26 countries across the globe from enterprises with at least 100 employees. This IDC Survey Spotlight discusses the connectivity challenges faced by Internet of Things (IoT) adopters in Canada and around the world. This IDC Market Presentation provides an analysis of the drivers and priorities for ICT spending in the Canadian insurance industry. This Presentation explores how the insurance industry in Canada approach ICT investments in areas such as digital transformation, blockchain, and cloud. This IDC Market Presentation is part of a series of documents focusing on specific vertical markets. It includes the Canadian ICT market size for 2017 along with data for the 2018–2022 period, including five-year compound annual growth rates for hardware, software, services, and telecommunications. This IDC study outlines IDC Canada's market size and forecast for the Canadian information technology (IT) market by industry for the 2018–2022 forecast period. It updates our previous forecast published in Canadian IT Forecast, 2017–2021: By Vertical Market (IDC #CA41260917, May 2017). This document includes data on enterprise IT markets including hardware, software, and services — it does not encompass the connectivity market. "The Canadian ICT market is going through a transformation. 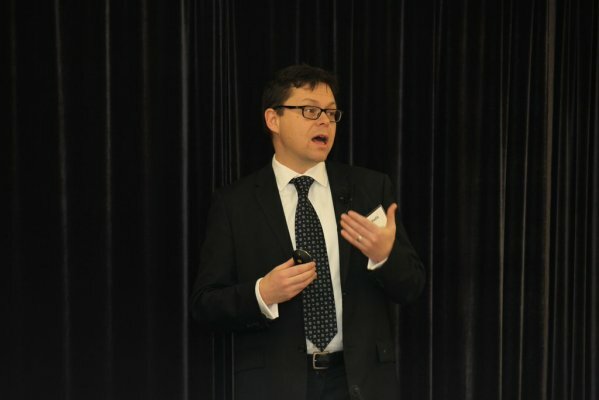 By 2022, the Canadian technology market will have been reshaped by the cumulative impact of analytics, cloud computing, social networks, and emerging tools like artificial intelligence, virtual/augmented reality, robotics/drones, and quantum computing," says Nigel Wallis, vice president, Industry and IoT. This IDC study provides key considerations for technology suppliers in this evolving and complex market as well as some of the drivers and inhibitors of growth throughout the forecast period. This forecast is created from IDC's Worldwide Semiannual Internet of Things Spending Guide. This iteration includes data presented in the November 2018 update to IDC's Worldwide Semiannual Internet of Things Spending Guide. In the most recent iteration, there were 82 use cases identified and sized across the technology stack, with up-front and recurring spend considered. 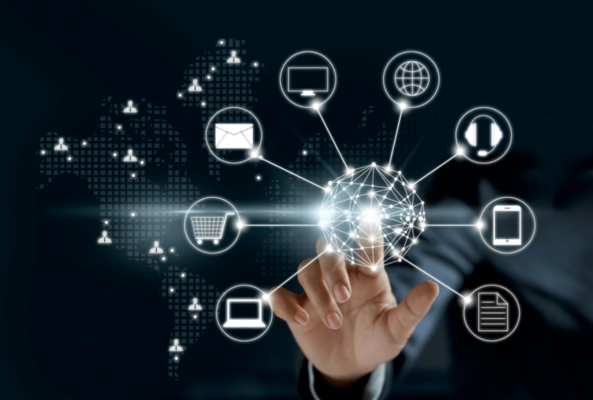 "Canadian enterprises are integrating connect solutions into the core of their business processes. The Internet of Things is making a meaningful difference for operational efficiency and corporate competitiveness, both locally and globally. Canadian organizations need to continue to invest in IoT technologies to drive toward digital transformation in the coming years," said Nigel Wallis, vice president, IoT and Industries at IDC Canada. This IDC Market Presentation provides an analysis of the drivers and priorities for ICT spending in the Canadian retail industry. This Presentation explores how the retail industry in Canada approach ICT investments in areas such as digital transformation, IoT, data analytics, and cloud. This IDC Market Presentation is part of a series of documents focusing on specific vertical markets. It includes the Canadian ICT market size for 2017 along with forecasts for the 2018–2022 period, including five-year compound annual growth rates for hardware, software, services, and telecommunications. This IDC Market Perspective examines the newly signed United States-Mexico-Canada Agreement (USMCA) and analyses the implications for Canada's ICT sector. The trade pact has specific chapters on digital trade, telecommunications, and intellectual property, as well as a number of highly relevant clauses and annexes sprinkled into other chapters. "ICT vendors and buyers of technology and digital assets in Canada should be developing plans to ensure they're ready to course correct under the new USMCA trade agreement," says Nigel Wallis, VP, IDC Canada IoT and Industries. This IDC Survey analyzes IDC's latest primary research on the Internet of Things (IoT) in Canada. In June 2018, IDC surveyed 302 respondents asking enterprise IT decision makers about their IoT buying journey, purchasing models, and vendor partnerships. This data is important for marketing, communications, sales, and partnering executives seeking to better understand the rapidly evolving Canadian IoT landscape. "Consideration of IoT solutions, from exploration to evaluation to purchase, is made by a lot of different job titles. IoT vendors need to optimize their marketing, communications, and sales channels accordingly," says Nigel Wallis, vice president, Industries and IoT, IDC Canada. "IoT solutions in Canada are mostly bought, and not built. But they are rarely bought from one vendor alone — partnerships are key to succeeding in the IoT sector." This IDC Survey analyzes IDC's latest primary research on the Internet of Things (IoT) in Canada. In June 2018, IDC surveyed 302 respondents asking enterprise IT decision makers about their IoT usage and architecture. This data is important for marketing, communications, sales, and partnering executives seeking to better understand the rapidly evolving Canadian IoT landscape. This IDC Survey analyzes IDC's latest primary research on the Internet of Things (IoT) in Canada. In June 2018, IDC surveyed 302 respondents asking enterprise IT decision makers about their IoT deployment plans by industry-specific solution. Those who had already adopted at least one IoT solution were then asked about their choice of communication service provider for their IoT needs. This IDC Survey analyzes the communication SP choices nationally and by region, size, industry, and some of the cross-industry use cases. This data is important for marketing, communications, sales, and partnering executives seeking to better understand the rapidly changing IoT landscape in Canada. This IDC Survey analyzes IDC's latest primary research on enterprise plans for the Internet of Things (IoT) in Canada. In June 2018, IDC surveyed 302 respondents asking enterprise IT decision makers about their IoT deployment plans through exploring the adoption of industry-specific use cases. This data is important for marketing, communications, and sales and partnering executives seeking to better understand the rapidly evolving Canadian IoT landscape. "81% of Canadian medium-sized and large organizations report adopting at least one Internet of Things solution already, up from 70% in 2017 and 52% in 2016. IoT is already present in today's organizations. 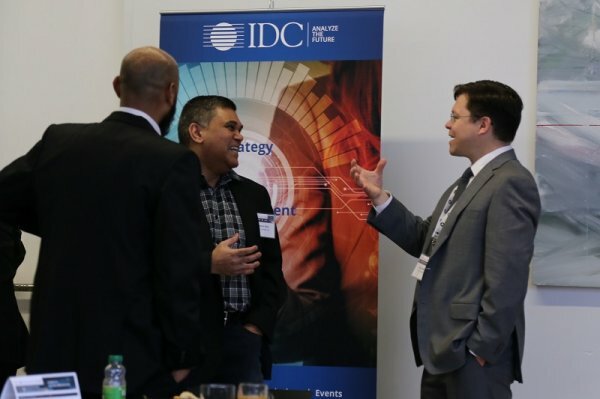 In fact, those firms that have adopted keep adopting more connected business processes," says Nigel Wallis, vice president, IDC Canada's Industries and IoT. This IDC Market Presentation provides an analysis of the drivers and priorities for ICT spending in the Canadian transportation industry. This IDC Market Presentation explores how the air, rail, and trucking sectors in Canada approach ICT investments in areas such as AI, IoT, mobility, and cloud. This IDC study is designed as a companion piece for IDC's Worldwide Semiannual Smart Cities Spending Guide and provides a detailed description of the taxonomy, definitions, and methodology supporting IDC's Smart Cities research globally. The approach and structure described provide a framework to better understand Smart City trends, and can help both technology suppliers and end-user organizations in planning activities and strategy definition. This IDC Market Presentation document explores the state of Canadian enterprise software adoption including deployment by industry. Applications in categories include content, collaboration, ERP and supply chain, CRM, and HCM, while deployment models include software as a service (SaaS), on-premise packaged, and on-premise custom and outsourced. This Presentation is the fifth in IDC Canada's document series on enterprise software adoption in Canada. Other documents explore top-line adoption, vendor leadership perceptions, deployment model, and adoption by size. This IDC Market Presentation explores the state of Canadian enterprise software adoption including application and deployment by organizational size. Application categories include content, collaboration, ERP and supply chain, CRM, and HCM, while deployment models include software as a service (SaaS), on-premise packaged, on-premise custom, and outsourced. This document is the fourth in IDC Canada's series on enterprise software adoption in Canada. Other documents explore top-line adoption, vendor leadership perceptions, deployment models, and adoption by industry. This IDC Market Presentation document explores the state of Canadian enterprise software adoption in categories including content, collaboration, ERP and supply chain, CRM, and HCM by deployment model including software as a service (SaaS), on-premise packaged, and on-premise custom and outsourced. This document is the third in IDC Canada's report series on enterprise software adoption in Canada. Other documents explore top-line adoption, vendor leadership perceptions, and adoption by industry and enterprise size. This IDC Market Presentation document explores the state of Canadian enterprise software adoption in categories including content, collaboration, ERP and supply chain, CRM, and HCM by industry. This document outlines current adoption, solution renewal intent, and future adoption intent for 24 different types for software applications, providing commentary on key trends for each category. This document is the second in IDC Canada's report series on enterprise software adoption in Canada. Other reports explore top-line adoption, vendor leadership perceptions, and adoption by solution deployment models. This IDC Survey examines the selection criteria that matter the most in selecting a vendor, comparing Canadian respondents to their global peers and IT respondents against line-of-business colleagues. The data is taken from IDC's Global IoT Decision-Maker Survey, which was fielded in 4Q17. It was completed by IT and line-of-business decision makers in 20 countries and collected 3,665 responses. There are 154 Canadian responses. This IDC Market Presentation provides IDC's forecast assumptions for the Canadian ICT markets in 2018 and beyond. This information complements published IDC forecast documents for Canada and IDC's global assumptions published in IDC's Forecast Scenario Assumptions for the ICT Markets and Historical Market Values and Exchange Rates, Version 1, 2018 (forthcoming). This IDC Survey compares IDC's latest primary research on enterprise plans for Internet of Things platform (IoTP) deployments and considerations in Canada and the world. In the third and fourth quarters of 2017, IDC surveyed 3,665 respondents across 27 countries worldwide asking enterprise IT and business decision makers about their IoT deployments. 154 of the respondents were from medium-sized, large, and very large Canadian organizations. The survey content examines current and future IoTP adoption, feature consideration, and current IoTP vendors. It offers a view of Canadian respondents versus their global peers as well as segmentation by company size and job function. IoTP vendors and partners should find it useful for go-to-market planning and campaigns. This IDC Survey explores adoption of blockchain/DLT technologies by Canadian enterprises. 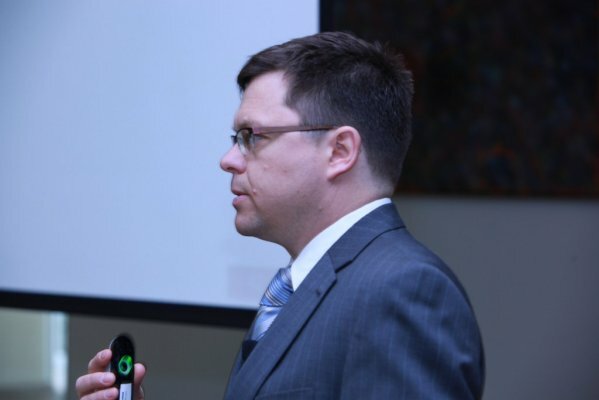 This presentation leverages IDC Canada's survey panel of IT and line-of-business (LOB) decision makers to evaluate current adoption of blockchain/DLT (e.g., pilots and production releases), interest in exploring the viability of blockchain/DLT use cases, and general awareness of blockchain/DLT solutions for enterprises. This document includes data by role, sector, vertical, and company size. This presentation is part of IDC Canada's report series on blockchain/DLT technologies. This IDC Survey compares IDC's latest primary research on enterprise perceptions of and plans for the Internet of Things (IoT) in Canada and the world. In the third and fourth quarters of 2017, IDC surveyed 3,665 respondents across 27 countries worldwide asking enterprise IT and business decision makers about their IoT deployments. 154 of the respondents were from medium-sized, large, and very large Canadian organizations. The survey content in this document examines the following aspects of organizations with IoT deployments: success and impact, motivations and challenges, and funding and coordination. It offers a view of Canadian respondents versus their global peers as well as segmentation by company size and job function. IoT vendors should find it useful for go-to-market planning and campaigns, while end-user organizations may use it for benchmarking. This IDC study replaces Canadian Internet of Things Forecast by Industry Update, 2016–2020 (IDC #CA40625416, December 2016). The document provides a detailed IoT market forecast breakdown by technology and industry. It describes the key drivers and market dynamics that characterize each segment. "Even with growing adoption across enterprise, government, and consumer segments, Canada is still in the early days of the IoT era," says Nigel Wallis, IDC Canada vice president of IoT and Industries. 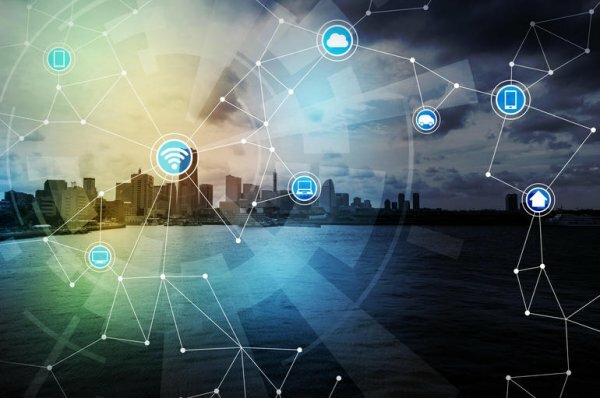 "Canadian organizations will accelerate their adoption of connected solutions as they capitalize on new technologies, from IoT software platforms to cheaper endpoint devices and from the rise of edge computing to new connectivity standards like LPWAN." This IDC Survey document explores the state of Canadian enterprise software adoption in categories such as content, communication and collaboration, ERP and supply chain, CRM, and HCM and HR. The document outlines current adoption, solution renewal intent, and future adoption intent for 24 different types for software applications (ranging from team collaboration apps to procurement ERP solutions) and provides commentary on key trends for each software category. This document includes survey data on vendor shares for current deployments and data on "top of mind" brands for solution renewal and future adoption for the different software categories. 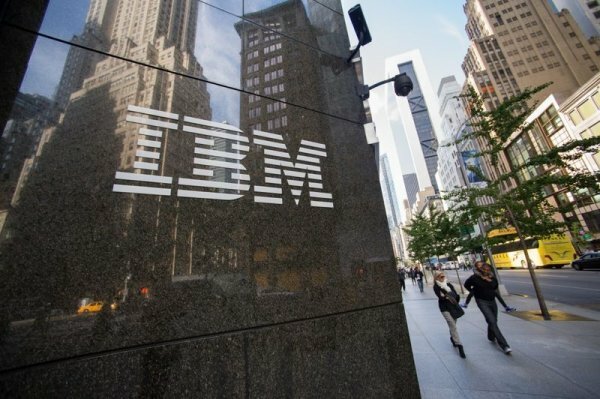 Some of the vendors featured in this document are Microsoft, IBM, Salesforce, SAP, and Oracle. This Survey document is the first in IDC Canada's report series on enterprise software adoption in Canada. Future documents will explore adoption by vertical, solution deployment models, and year-over-year trends. This IDC Presentation discusses the use of blockchain and distributed ledger technology (DLT) in various industry verticals. It includes vertical-specific proof of concept and "in production" use cases in Canada and around the world. The document provides a brief introduction to the core features behind blockchain/DLT, such as distributed ledgers, smart contracts, and tokens; an analysis of enterprise applicability; and an outline of some of the challenges in the wider blockchain/DLT marketplace. The document covers use cases in verticals such as banking, insurance, logistics, and utilities. It also includes a top-line forecast for Canadian spending on blockchain/DLT, as well as guidance for end users and technology vendors. This document is the first in a series from IDC Canada's vertical markets team covering the growth and development of the Canadian blockchain/DLT marketplace. This IDC study provides a detailed description of IDC's Worldwide Semiannual Smart Cities Spending Guide methodology and taxonomy. It should be used as a companion piece for IDC's Worldwide Semiannual Smart Cities Spending Guide and all of IDC's Smart Cities research globally. Technology suppliers may utilize this approach and structure as well to help them build an industry-focused organization. This IDC Market Presentation provides an analysis of the drivers and priorities for ICT spending in the Canadian provincial government sector. It explores how provincial governments across Canada approach issues such as digital service provision, IT infrastructure, IT governance, security, digital identity services, and mobility solutions. The Presentation includes an overview of various government ICT initiatives and a brief evaluation of institutional maturity in various technology domains. This IDC Market Presentation is part of a series of documents focusing on specific vertical markets. It includes the Canadian ICT market size for 2016 along with forecasts for the 2017–2021 period, including five-year compound annual growth rates for hardware, software, services, and telecommunications. This IDC Market Presentation provides an analysis of the drivers and priorities for ICT spending in the Canadian banking sector. This document explores how Schedule 1 banks across Canada approach issues such as customer experience, cloud computing, outsourcing, core banking replacement, and fintech. The Presentation includes an overview of various banking ICT initiatives. This Presentation is part of a series of documents focusing on specific vertical markets. It includes the Canadian ICT market size for 2016 along with forecasts for the 2017–2021 period, including five-year compound annual growth rates for hardware, software, services, and telecommunications. This IDC study replaces Canadian Internet of Things Forecast, 2016-2020 (IDC #CA40625016, August 2016) and provides a detailed IoT market forecast breakdown by technology, industry, and geography. It describes the key drivers and market dynamics that characterize each segment. "IDC continues to track the IoT market very closely and provides a realistic perspective of where market growth will happen by approaching the market sizing with a use-case approach," says Nigel Wallis, research director, Vertical Markets and IoT. "IoT deployments are acting as the flywheel to drive digital transformation in Canadian organizations. We are witnessing the Internet of Things market emerge as organizations increasingly make strategic decisions to invest in a connected strategy to drive efficiencies, better decision making, or competitive advantage." This IDC Presentation provides an analysis on the drivers and priorities for ICT spending in the Canadian utilities sector. This Presentation draws on IDC's vertical markets research, financial statements from various Canadian utilities, government documents, and IDC's expertise in various technology segments to outline how the structural evolution of utility markets will impact ICT spend in this sector. This Presentation is part of a series of documents focusing on specific vertical markets. It includes the Canadian ICT market size for 2016 along with forecasts for the 2016–2021 period, including five-year compound annual growth rates for hardware, software, services, and telecommunications. This IDC Presentation provides an analysis on the drivers and priorities for ICT spending in the professional services sector in Canada. This presentation draws on IDC's surveys of CIOs and line-of-business executives across the Canadian market as well as discussions across both IT users and the supply side of the market to provide a map of where short- and long-term opportunities can be found. It highlights the imperatives for spending that exist across the market at present. After examining the business pressures that are determining corporate investments and decisions, the presentation looks at how this is affecting technology decision making. This presentation is part of a series of documents focusing on specific vertical markets. It includes the Canadian ICT market size for 2016 along with forecasts for 2017–2021, including five-year compound annual growth rates for hardware, software, services, and telecommunications. At what stage is your organization today in the deployment of the following Internet of Things initiatives (select from industry-specific list)? How do you expect your total revenue to change in 2017 from 2016? While keeping in mind the difference between correlation and causation, this Survey Spotlight shows the positive relationship between organizational revenue growth and IoT adoption. This IDC Survey analyzes IDC's latest primary research on the Internet of Things (IoT) in Canada. In June 2017, IDC surveyed 312 respondents asking enterprise IT decision makers about their IoT deployment plans by industry-specific solution. Those who had already adopted at least one IoT solution were then asked about their choice of communication service provider (CSP) for their IoT needs. This IDC Survey analyzes the CSP choices nationally and by region, size, and industry. This data is important for marketing and sales executives seeking to better understand the rapidly IoT landscape in Canada. This IDC Presentation analyzes IDC's latest primary research on enterprise plans for the Internet of Things (IoT) in Canada. In June 2017, IDC surveyed 312 respondents asking enterprise IT decision makers about their IoT deployment plans by industry-specific solution. This survey analyzes the adoption drivers and challenges for IoT solutions. Other topics surveyed included data processing architecture choices and impact on business. This data is important for marketing and sales executives seeking to better understand the rapidly IoT landscape in Canada. "70% of Canadian medium-sized and large organizations report adopting at least one Internet of Things solution already. This indicates how the IoT market is rapidly being integrated into today's businesses," says Nigel Wallis, vice president, IDC Canada's Industries and IoT. This IDC Market Note discusses IDC's global IoT team's impressions from Cisco's IoT World Forum held in London, United Kingdom, in late May 2017. This IDC Survey analyzes IDC's latest primary research on enterprise plans for the Internet of Things (IoT) in Canada. In June of 2017, IDC surveyed 312 respondents asking enterprise IT decision makers about their IoT deployment plans by industry-specific solution. This Survey analyzes the inhibitors to adoption by the non-adopters. It also asks about what benefits would be required to drive adoption and which solutions would be most likely to be adopted in this segment. This data is important for marketing and sales executives seeking to better understand the rapidly evolving IoT landscape in Canada. This IDC Survey Spotlight highlights results from a key question in IDC's Canada's IT Advisory Panel (ITAP) n5, 2017 survey: What types of connection does your IoT solution use? It analyzes the choices that Canadian IoT adopters have made with regard to their connectivity preferences in order to consider the options that CSPs and LPWAN providers may have to make in the coming years. This IDC Presentation provides an analysis on the drivers and priorities for ICT spending in the Canadian manufacturing sector. The Presentation draws on IDC's surveys of CIOs and line-of-business executives across the Canadian market as well as discussions across both IT users and the supply side of the market to provide a map of where short- and long-term opportunities can be found. It highlights the imperatives for spending that exist across the market at present. After examining the business pressures that are determining corporate investments and decisions, this Presentation looks at how this is affecting technology decision making. This IDC study outlines IDC Canada's market size and forecast for the Canadian information technology (IT) market by industry for the 2017–2021 forecast period. It updates our previous forecast published in Canadian IT Forecast, 2016–2020: By Vertical Market (IDC #CA40626216, October 2016). "The Canadian ICT market is going through a transformation. By 2021, the Canadian technology market will look very different than it does today, reflecting the macroeconomic shifts under way in society at large," says Nigel Wallis, vice president, Industry and IoT. This IDC Presentation provides IDC's forecast assumptions for the Canadian ICT markets in 2017 and beyond. This information complements published IDC forecast documents for Canada and IDC's global assumptions published in IDC's Forecast Scenario Assumptions for the ICT Markets and Historical Market Values and Exchange Rates, Version 1, 2017 (IDC #US42418817, March 2017). 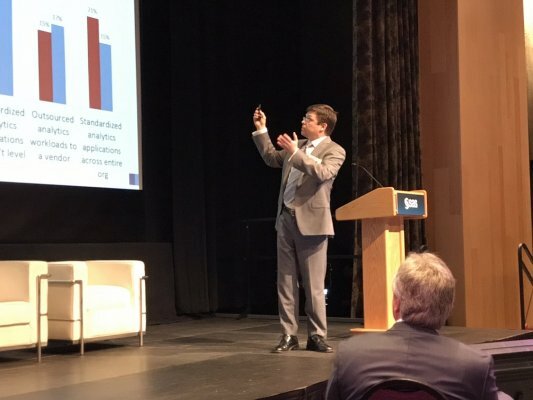 This IDC Market Note offers a Canadian view of the highlights from the annual SAS Inside Intelligence analyst conference 2017. Spanning two and a half days, the conference offered a range of formal presentations, one-on-one analyst/executive sessions, a variety of product demonstrations, and informal opportunities for connections with SAS executives and SAS customers. This IDC Presentation provides an analysis on the drivers and priorities for ICT spending in the retail sector in Canada. This Presentation draws on IDC's surveys of CIOs and line-of-business executives across the Canadian market as well as discussions across both IT users and the supply side of the market to provide a map of where short- and long-term opportunities can be found. It highlights the imperatives for spending that exist across the market at present. After examining the business pressures that are determining corporate investments and decisions, the Presentation looks at how this is affecting technology decision making. This Presentation is part of a series of documents focusing on specific vertical markets. It includes the Canadian ICT market size for 2015 along with forecasts for 2016–2020, including five-year compound annual growth rates for hardware, software, services, and telecommunications. This IDC Survey Spotlight highlights results from a key question in IDC's 2016 Canadian Functional Line of Business Survey: "Which of the following will be your functional area's top 2 functional areas of IoT investment in the next 12–24 months?" and analyzes current IoT investments by Canadian utilities. This IDC Survey Spotlight highlights results from a key question in IDC's 2016 Canadian Functional Line of Business Survey: "Which of the following will be your functional area's top 2 functional areas of IoT investment in the next 12–24 months?" and analyzes current IoT investments by Canadian healthcare organizations. This IDC Web Conference provides a global market view of the Internet of Things (IoT) through 2020. Few growth markets give enterprises and consumers an ability to create, innovate, and problem solve through technology like the Internet of Things. With IoT technology adoption underway from developing new management systems to leveraging historical operational data, we provide a global market view of the Internet of Things through 2020 and review the 2016 Worldwide Semiannual IoT Spending Guide. This IDC Survey Spotlight highlights results from a key question in IDC's 2016 Canadian Functional Line of Business Survey: "How would you classify the majority of these expenditures your functional area and the IT department will spend on IoT for your functional area". This document illustrates the clout of the functional business department in driving IoT investments across Canada. This IDC Market Presentation provides IDC's forecast assumptions for the Canadian ICT markets in 2019 and beyond. This information complements published IDC forecast documents for Canada and IDC's global assumptions published in IDC's Forecast Scenario Assumptions for the ICT Markets and Historical Market Values and Exchange Rates, 4Q18 (Apr 2019 | Doc #US43652019).